2018 was a year to remember for boxing fans. There were memorable matches from start to finish. Gone are the days of the best not fighting the best. That no longer exist. 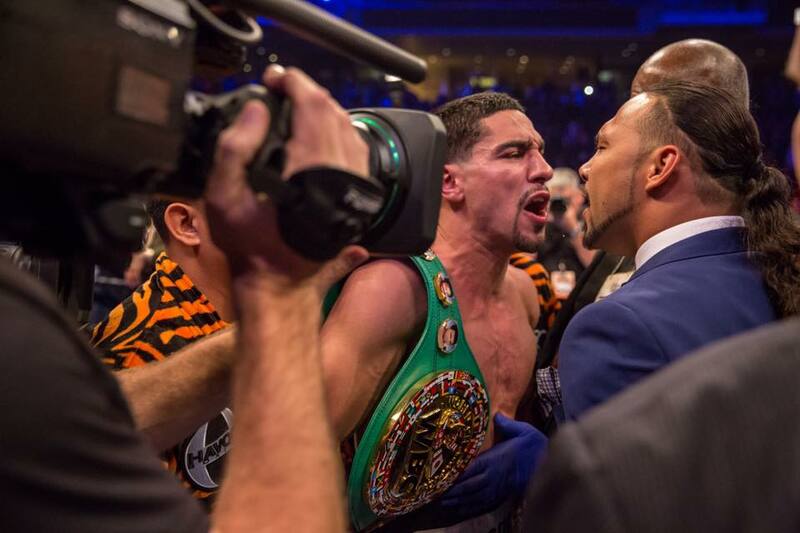 Danny Garcia and Shawn Porter locked horns for the vacant WBC Welterweight title in a bout that saw Porter prevail. Canelo and GGG jumped back into the ring with one another and gave the fans another classic. 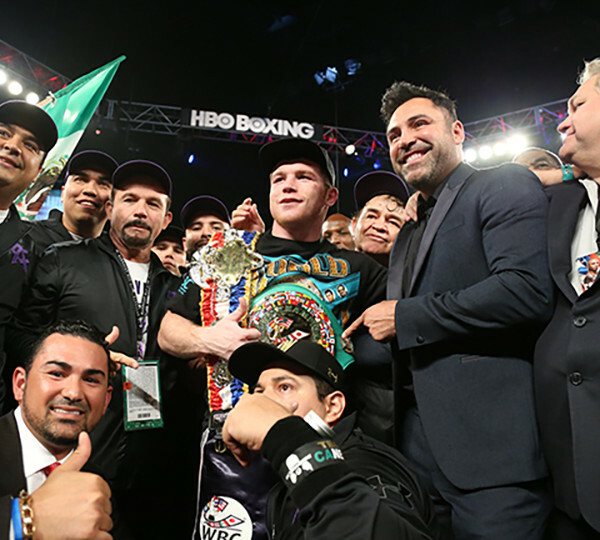 One that crowned Canelo as the new unified Middleweight champion. Jarrett Hurd managed to narrowly defeat Erislandy Lara and assert himself as the best at Jr Middleweight. How can anyone forget Deontay Wilder and Tyson Fury giving us all a fight to remember when they battled to a split draw? In short, 2019 has a hard act to follow. There are a ton of matches that fans still want to see. I can give you a list of about 100 fights that would make the fans salivate but let’s make the list a bit shorter. Here is the top five fights fans want to see for 2019. Mikey Garcia (39-0, 30 KOs) and Vasyl Lomachenko (12-1, 9 KOs) are pound-for-pound stalwarts. They also just happen to campaign at the same division which makes their clash inevitable. First things first however. Mikey has a monumental fight ahead of him when he moves up in weight this March to take on Welterweight boogieman Errol Spence Jr. Win or lose Mikey is expected to come back down to the Lightweight division. Both Mikey and Lomachenko need each other. They are head and shoulders above the rest of the competition. A debate is often created when discussing who would win this matchup. It’s time to end that conversation by settling it in the ring. Although Canelo Alvarez’s (51-1-2, 35 KOs) last bout was contested at Super Middleweight when he defeated WBA regular champion Rocky Fielding. Many believe his next bout will be at Middleweight where he is both the WBA and WBC champion. The list of challengers at the division are aplenty. None however, are more deserving than current IBF champion Daniel Jacobs (35-2, 29 KOs). Danny has proven to be not just a great fighter but an elite one. Wins over Peter Quillin and Sergiy Derevyanchenko cemented that thought. This is a fight that fans want to see. Canelo has never backed away from a challenge so fans might just get their wish and see these two share a ring with one another in 2019. Coming off two fights against Canelo Alvarez, (with the latter resulting in his first defeat) Gennady Golovkin needs to fight a fresh opponent. Not to say that his bouts against Canelo were not highly entertaining because they were but the fans want to see the former Middleweight unified champion in the ring with another dangerous foe. In steps Jermall Charlo (28-0, 21 KOs). The aforementioned Charlo has proven to not only be a deadly fighter but he is also must see television. The belief of many is that Charlo is the best Middleweight but he just has not fought the elite in order to prove it. Charlo has been clamoring for a fight with the former unified Middleweight champion. The WBC has already mandated that these two must face each other. Luckily for the fans it seems that this fight could happen this calendar year. With all due respect to Jarrell Miller, Luis Ortiz, Dillian Whyte and every other Heavyweight contender but unified champion Anthony Joshua (22-0, 21 KOs), Deontay Wilder (40-0-1, 39 KOs) and Tyson Fury (27-0, 19 KOs) are head and shoulders above the rest. 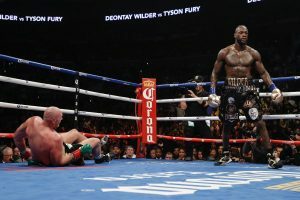 Both Wilder and Fury engaged in a fight of the year candidate this past December which resulted in a split decision draw. They will be looking to run back their classic contest but a matchup with Joshua is possible as well. No matter who is matched with up with who these three need to face each other this year. A possible round robin involving all three will leave fight fans rejoicing. The Welterweight division is by far the deepest in all of boxing. Serious contenders can be found at every turn. Errol Spence Jr (24-0, 21 KOs) however, had established himself above the rest. An eleven fight knockout streak has earned him the moniker “The Truth”. Becoming the undisputed champion is a matter of when not if. At least that was the thought before pound-for-pound star Terence Crawford (34-0, 25 KOs) officially moved up to the division. Crawford has looked terrific in his new weight class. In June of 2018 he easily dispatched of Jeff Horn while picking up his WBO Welterweight title as well. He then followed that up with a 12th round knockout of former undefeated contender Jose Benavidez Jr. Both Crawford and Spence are the best at the division. A matchup between these two would represent this generation’s version of Sugar Ray Leonard vs Roberto Duran, Marvin Hagler vs Tommy Hearns, Floyd Mayweather vs Manny Pacquiao and so on. Bottomline this bout would be one for the ages. These two will undoubtedly square off one day. Let’s just hope it’ll be this year. Marshall Kauffman’s King’s Promotions close out September at the Sands Event Center on Tuesday Night Fights “Fight Night Live”. The Matchmaker is Damian Ramos. There are TEN scheduled bouts. “King’s Promotions are ecstatic about almost 200,000 views for our Sept. 14th show, especially on short notice”, said Marshall Kauffman of King’s Promotions. “We continue to be one of the busiest promoters anywhere and we’re excited to bring the best-quality boxing to fight fans on Facebook”, he added. In the Main Event Super Lightweight Anthony Mercado 11-4 (10), of Philadelphia and Arecibo, PR, takes on Victor Vazquez, 10-4 (4), Yonkers, NY, over 8 rounds for the World Boxing Foundation Silver International Title. Stephen “Scooter” Fulton, 13-0 (6), Philadelphia, PA, takes on Esteban Aqino, 12-5 (7), of La Romana, DR, over 8 rounds. Heavyweight Joe Hanks, 22-2 (14), Newark, NJ, takes on Terrance Marba, 9-6 (7), St. Petersburg, FL. Super Welterweight southpaw Erik Spring, 10-2-2 (1), Reading, PA, takes on James Robinson, 5-11-5 (1), York, PA.
Heavyweight Colby Madison, 6-0-2 (4), Owings Mills, MD, takes on Jamaica’s Nicoy Clarke, 2-1 (0), Jersey City, NJ. Heavyweight Michael Polite Coffie, 3-0 (2), Brooklyn, NY, takes on Curtis Head, 4-2 (3), Southfield, MI. Super Lightweight Kenny Robles, 3-1 (1), Staten Island, NY, takes on southpaw Corey Gulley, 2-2-2 (0), Killeen, TX. Super Bantamweight Raeese Aleem, 11-0 (5), Las Vegas, NV, takes on Alcides Santiago, 6-2 (5), Arecebo, PR. Middleweight Money Powell IV, 7-0 (4), Ft. Mitchell, AL, takes on Marcus Washington, 4-1 (1), Toledo, OH. Featherweight Martino Jules, 4-0 (0), Allentown, PA, takes on Felix Rosa, 1-0 (0), DR, over 4 rounds. Welborn vs Langford has all the ingredients for a scintillating rematch as the “Battle of the Baggies” moves onto round two (well, technically, rounds 13-24) in Birmingham on September 8th. First time round in Walsall, Jason Welborn took to the centre of the ring right from the off with an incredible work-rate, targeting the body of Langford whilst the champion, Langford, looked to establish what he believed was his technical superiority. Both fighters were fast on their feet and willing to trade punches with neither afraid of taking a shot in order to land a flurry of their own and even though Welborn came into the fight the, large, betting underdog, he showed no signs of relenting as went into the championship rounds, staying busy and landing an accumulation of punches. The fight was up for grabs and in a genuine domestic thriller, Welborn emerged the victor via a narrow split decision (114-113, 114-113, 113-115) and claimed the British Middleweight championship from his rival. This time round on the undercard of Khan-Vargas, Welborn will be looking to go one step even further than he manged in May and stop Langford within the distance – let’s not forget that Langford was counted in the 2nd round after the ropes had held him up –, enhancing his position as a genuine contender in the packed middleweight scene. Tommy, on the other hand, will be looking for redemption and bounce back from his second loss in the space of 13 months – the first, a fifth round TKO loss to Avtandil Khurtsidze – with a dedicated, technical performance that, prior to these potential hiccups, had seen him being targeted for an all-British showdown with Billy Joe Saunders. Indeed Langford wasn’t on his A Game when the first fight occurred, not that we should take any credit away from Welborn, and you could argue that he adapted a little too much to the game-plan of his challenger – stick to the basics, work the jab and that’s when Langford really hits his stride. Has this fight been mentioned enough recently? Spot the sarcasm because this fight is, put simply, A FIGHT. One better than that, it’s a fight that you genuinely cannot pick a winner from. It’s a fight that you don’t want to HAVE to pick a winner from, either, both of these guys are genuine, humble people who haven’t forgotten where they come from. Ultimately, though, on September 15th one of these lightweights will emerge as the Southern Area champion – Camero having defended it successfully or Ofori having mounted a victorious challenge. Stylistically the two are vastly different with Camero having, typically, been the more patient and measured boxer who likes to control the fight at his own tempo and has quite a unique style but, make no mistake, is capable of packing a whack so you do not want to be on the end of one of those big punches. As Jumaane says, himself, he is “freakishly long limbed” and possess a style that makes dealing with him incredibly awkward – Ofori, on the other hand, is much more of your typical aggressor, seeking to take each and every fight with a high-tempo, guns-blazing style of boxing. At the end of June, Ofori faced a tough journeyman, Luke Fash, in full knowledge that this Southern Area fight was to follow and Jeff looked imperious, cutting off the ring really well and attacking the body of Fash with vim and vigour – speaking to Ofori afterwards, however, he said he wanted more rounds to get used to the longer distances, as opposed to his fourth round knockout. This will be Ofori’s first ten round bout but with both men talking as though they expect it not to last the scheduled distance there is no doubt that September 15th will see fireworks aplenty – Ofori needs to keep up his aggression, work the short uppercut when he’s on the ropes whilst Camero should look to use his awkward style and height advantage to the best of his ability, the styles will mesh and produce a sumptuous bout so all that’s left to do is buy the tickets because you do not want to miss this. Cello Renda is a man who, for a long time now, has always promised much and whilst he has achieved one hell of a lot – current Southern Area champion, challenged for the English and British belts – there’s been a distinct feeling that, actually, he could be coming into the best years of his fighting career. A win against Leon McKenzie, last year, re-established himself on the map and look at his record, you’ll see he’s fought Liam Conroy, Jack Arnfield, Sam Horton, Martin Murray, Danny Butler, Tom Doran, Paul Smith and these are not names to be sniffed at by any stretch of the imagination. But, as mentioned, it was that fight against McKenzie that really seemed to, on paper, ignite something within him as he demonstrated his power, precision and sheer toughness to an absolute tee – Renda was in a war and he came out on top. Since then he’s been targeting the English title that Darryll Williams holds and this fight against Cowcroft is serving as an eliminator for that belt. Cowcroft, on the other hand, is taking a huge step in quality but Stefy Bull clearly thinks he’s talented enough to carry off an upset and the mood around the Doncaster light-heavyweight is distinctly upbeat and it’s clear to see that he’s improved significantly in the three years that he’s been out of the ring. Not so much of a power puncher as Renda, Cowcroft has an absolute engine within him and will be looking to out-work Cello, tiring the Southern Area champion, before mounting a late surging attack as he, to boot, looks to prove any doubters wrong. This fight has all the makings of an absolute classic, Cello Renda looked the best he’s ever looked up against Leon McKenzie, punch-perfect stoppage, and Luke Cowcroft is constantly developing, constantly learning and not just in training but in the ring, too, up against Renda he will need to have learnt an awful lot but if anyone can secure such an upset, surely, it’s the man from Doncaster. A rematch for the vacant British super-bantamweight title, made possible by Thomas Patrick Ward withdrawing from the scheduled fight and opting to fight for the IBF European belt instead. Jazza Dickens has had a frustrating last couple years following his loss to Guillermo Rigondeaux, a fight that resulted in a broken jaw for Dickens, and was unfortunate last year to suffer a cut above the left eye against Patrick Ward that forced the contest to go the scorecards early – Dickens was trailing but had momentum and the fight was shaping up to be a real pick ‘em with everything likely coming down to the final three rounds. Since then the Liverpool fighter has looked crisp in training, arguably in the shape of his life, and against Martin Ward, on July 27th, there’s every expectation of a better, more convincing performance than the last time they fought (in 2015). Three years ago this duo fought the full 12 rounds before a split decision rendered Dickens the winner and, in turn, the British champion – Dickens was the fighter pressing the case and working the angles but a split decision was probably accurate. With Dickens there is little doubt just how talented a fighter he is and the southpaw possess all the technical traits that could see him go all the way, on top of that he has a brilliant energy, work-rate and stamina that marks him out as a complete fighter just waiting to get tested. Martin Ward, former British and Commonwealth Champion, is not to be underestimated and the experienced fighter relies on a patient game-plan, looking to take the fight at a constant, comfortable pace, often fighting at distance. Past performances would suggest that Ward has peaked at around the British level with his previous step up to European level resulting in a second round knockout loss to Abigail Medina – not the greatest of opponent but no-one to discredit – and this fight in Houghton Le Spring will be seen as the 30 year old’s golden opportunity to really propel his name back into the talking. Dickens would, you assume, prevail in this contest especially if he is to reach the heights he is expected but, as happens time and time again, you can never assume anything in boxing and the winner of this contest, Dickens or Ward, will have a couple of cracking clashes in the offing. 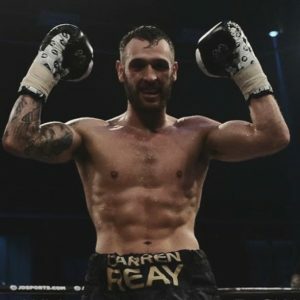 Stefy Bull has been announcing some really good fights as of late – Atif Shafiq vs Andy Townend, Robbie Barrett vs Matty Fagan – and Kyle Yousaf vs Tommy Frank is part of the stellar card taking place in Barnsley on October 5th. An application has been made to the BBBofC for this bout to be for the English belt and when you look at the domestic shake-up then there can be no qualms about the fight having such status. Having the poisoned chalice of competing in the lower weight divisions, Yousaf and Frank have had a criminally small amount of media attention throughout their careers despite them both being absolutely phenomenal fighters. Yousaf, the more experienced with 13 fights, beholds an impressive fighting brain with his ability to pick punches marking him out at an early stage of his career. Not many fighters, when they first turn pro, are mature enough to identify periods of the bout when they don’t need to come out swinging but Yousaf, still only 25, has frequently shown incredible maturity during the ring. Against Gyula Dodu there was a punch-perfect display from the Golden Kid as he used his left jab repeatedly to keep on top of his opponent before dropping down to the body with some telling right hands to the body. A superb right to the head of Dodu, launched with exquisite timing and precision, finished off the fight and even though the bout lasted 118 seconds, the talent on show was mouthwatering. Tommy ‘Super Frank’ is the current Central Area Super Flyweight champion and against Craig Derbyshire, in Frank’s seventh fight, the Yorkshire boxer impressed with his fight pace, going 10 rounds but looking comfortable throughout, and his commanding presence at the centre of the ring enables him to cut space off for his opponent, shortening the distance and letting Frank work the inside of his opponent – something he does particularly well. When the hands get loose, they don’t half pack a punch and with a strong preference for targeting the body, he knows to pressure the opposition onto the ropes before unleashing with a series of alternating shots to the body. In terms of power Yousaf probably has the upper hand, that should be evident from his superior knockout rate, but this is a fight you don’t see getting stopped early, it’s an enthralling battle between two young, hungry, undefeated fighters and it has all the ingredients of being an absolute barnstormer. When former heavyweight champion Rocky Marciano’s 49-0 record gets surpassed its big thing. A half dozen have passed him but eventually got defeated. 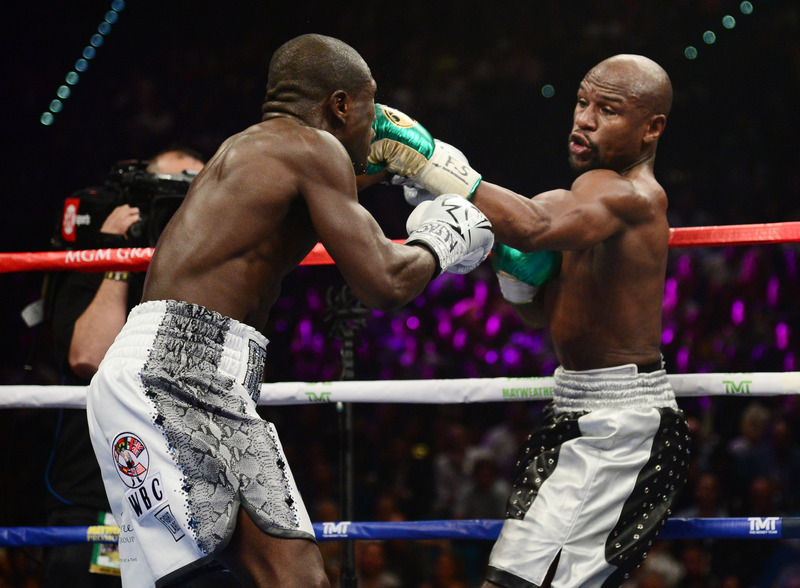 Currently Floyd “Money” Mayweather defeated a rank amateur in order to improve his record to 50-0 (27). He no longer holds any titles but it seems when he is low on cash he fights again. In August of 2017 he carried and then opened up to defeat MMA boxer Conor McGregor who never had a professional boxing match. He is 41. He is not included on the list of boxers with a minimum of 30 wins. He is retired. WBC World Minimum champion Chayaphon Moonsri, 50-0 (17), of Thailand reached the 50 mark on May 2nd 2018 defeating Leroy Estrada, 16-2, from Panama. He is 32. WBC Bantamweight Youth Silver champion Tassana Sanpattan, 46-0 (31), of Thailand in 2017 he was 4-0 with all being 6 round bouts. In 2018 he has a pair of 8 round bouts going 2-0. He is 24. WBC Heavyweight champion Deontay “The Bronze Bomber” Wilder, 40-0 (39), of Tuscaloousa, AL. He is 32. Middleweight Damian “The Beast” Jonak, 40-0-1 (21), of Poland. He didn’t have any bouts in 2016 or 2017 but has one bout in 2018 in an 8 rounder. In 2011 he won the WBA International Super Welterweight title. He is 35. Middleweight WBA and WBC champion Gennady “GGG” Golovkin is 38-0-1 (34), from KAZ, living in L.A., CA. He was stripped of his IBF title for not fighting his No. 1 contender. He is 36. Former WBO Featherweight, WBO Super Featherweight, WBC Lightweight and current IBF World Super Lightweight champion Mikey Garcia, 38-0 (30), of Moreno Valley, CA. He is scheduled to go back down to lightweight for a unified title facing WBC Robert Easter, Jr., 21-0 (13), on July 28th. He is 30. Former NABF and current Russian Middleweight champion Konstantin Ponomarev, 34-0 (13), of Big Bear, CA. He is 25. Former WBO, WBC, WBA and IBF Super Lightweight champion now currently the WBO Welterweight Terence “Bud” Crawford, 33-0 (24), of Omaha, NEB, just won the welterweight title. He is 30. WBC World Super Bantamweight champion Rey Vargas, 32-0 (22), of Mexico. He is 27. WBC World Super Welterweight champion Jermell “Iron Man” Charlo, 31-0 (15), of Houston, TX. He is 28. These are the 10 unbeaten boxers with at least 30 fights. Boxing in Atlantic City has been prevalent for more than 45 years. 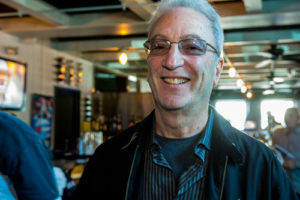 One man who has been in the center of a lot of the action on the boardwalk has been International Boxing and Atlantic City Boxing Hall-of-Fame promoter and matchmaker J Russell Peltz. Rosado returns to finish what she started in the Bull City. This time last year, “Raging Babe” Michelle Rosado touched down in Raleigh for the first time, determined to help a local boxing promoter make his mark in North Carolina. Rosado and her company, Raging Babe, did just that, and have now emerged as North Carolina’s newest boxing promoter. 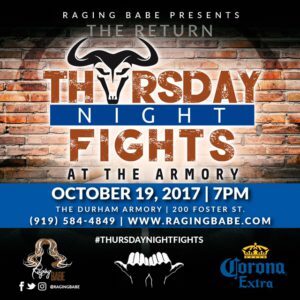 On October 19th, Raging Babe promotes its own event at the Durham Armory, aptly named The Return. The card will feature some of the best young talent from across North Carolina in competitive fights, matched by Hall of Fame Matchmaker and mentor to Rosado, Russell Peltz. With a combined 50+ years of experience in the rough and tumble world of boxing, Rosado and Peltz brought a well-tested formula to Wilson in their first North Carolina endeavor in February. 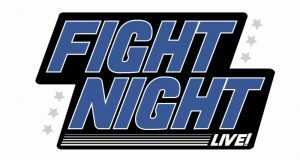 The sell-out event was followed up by the debut of Thursday Night Fights in Durham. Throwing a boxing event on a Thursday night was a hard sell for Rosado. “I had to really work on the promoter to get them to give Thursday Night Fights a shot. Durham is a fight town. I knew that if we threw a solid, quality card, with good fights, that fans would come out on a Thursday night, and they did.” When planning The Return, Rosado opted to bring back Thursday Night Fights, and return to the Durham Armory. After two wildly successful events, followed by a dramatic falling out with the now defunct promotional company, Rosado was reluctant to return to the Tar Heel State. She realized, though, after so many months of putting her sweat and passion into boxing in North Carolina, she owed to herself and the gyms, fighters and fans she met there to return, and fulfill the commitments she made to them to deliver quality fights, while treating the fighters ethically and with respect. The complete fight card will be announced August 24th, and tickets for The Return go on sale that morning. Tickets can be purchased through the fighters or at ragingbabe.com. Brook refused to pay homage to Spence at the conference. When Spence was referred to at one point as a “brilliant American,” Brook scoffed. “Brilliant American,” he quipped. “Yeah. We’ll see how brilliant he is.” Spence, however, wasn’t about to show deference to Brook, either. “Dude had two good rounds with GGG,” the Texas native snapped. 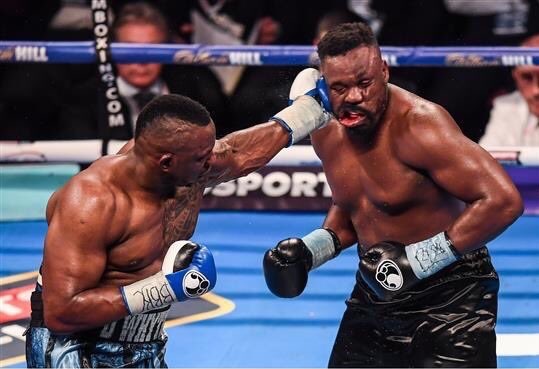 “Willie Monroe did the same thing.” To be sure, there was a lot of back and forth at the press conference – mainly, it seemed, between the two fighter’s trainers. Such things make for good drama, however, and Brook-Spence promises (at least on paper) to be a very interesting matchup. For Brook is a big, strong welterweight who knows how to let his strength be felt while throwing impressive straight punches. Spence, on the other hand, comes across as something of a wunderkind, a fact evidenced by his dismantling of former junior welterweight champ (and Manny Pacquiao opponent) Chris Algieri. Spence simply went through the Long Island native, much as he has most of his opponents to date. Can he get by the skilled and expereinced Brook, however? Can he do so in Brook’s hometown, no less? Those questions are what make this match so intriguing. There’s also intruiging news to be found in the division below Brook and Spence, for Bud Crawford, the 30-0 king of the junior welterweight division is all but set to face 19-1 Felix Diaz May 20th in Newark, New Jersey. People have been waiting for a while to find out who the highly lauded Crawford’s next opponent would be. And while many want to see the WBC and WBO super lightweight champ against the likes of Adrien Broner or Manny Pacquiao, Diaz, whose apparently wanted this fight for a while, looks to be the man. While he’s no household name, Diaz has managed to best the likes of Adrian Granados and Sammy Vasquez. Some also feel he got robbed when he fought Lamont Peterson back in 2015. In other words, the guy’s no slouch. Those of us who have been moaning and groaning since the small scale, yet thoroughly terrific, Friday Night Fights has been yanked off the ESPN airwaves now have plenty to smile about. 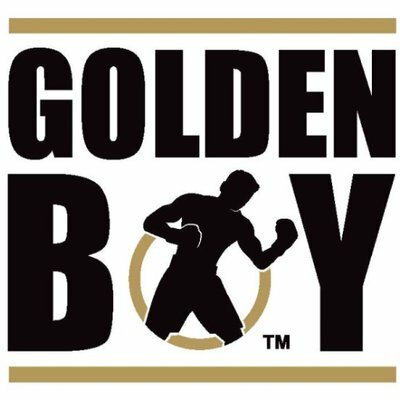 For Golden Boy Promotions has announced a major collaboration with the sports network, one which will bring close to twenty fight cards to the ESPNs channels this year alone. What’s more, Golden Boy has declared that the deal is of the “multi-year” variety, which means the programming will at least extend beyond 2017. For the record, the first card will air March 23d. The participants, however, have yet to be announced. The ESPN branches which will be airing the fights are ESPN2 and ESPN Deportes, the network’s traditional boxing homes. Furthermore, ESPN and Golden Boy will be showing more than just fight cards. Things such as a “Classic Fight Library,” half hour boxing-related interviews, an entire thirty minute program about boxing training, and podcasts are also on the roster. To be sure, it’s a full plate, and one which seemingly came out of the blue. After what was, in many ways, a miserable 2016, the New Year is looking much improved for fight fans. Let’s hope things keep moving forward. The World Boxing Organization’s middleweight champ, Billy Joe Saunders, may not be happy about it, but the sanctioning body has named one Canelo Alvarez as his mandatory opponent. That means Saunders is going to have to face Canelo if Saunders wants to hold on to the WBO title – provided, of course, that Canelo is himself is interested in the fight. Since Golden Boy, Canelo’s promoter, asked the WBO for the mandatory ranking, however, it appears that Canelo may indeed be zeroing in on a potential throwdown with Saunders. Or at least zeroing in on the WBO title. Let’s face it, Saunders has done nothing concrete since winning his belt off Andy Lee late last year to show that he wishes to challenge himself. By seeming to have shied away from matches with middleweight terror Gennady Golovkin and/or Canelo himself, Saunders has placed himself in a position where he is simply not well regarded. Worse still for the Englishman, he appeared far from stellar when he faced off against an opponent no one had ever heard of, one Artur Akavov, earlier this month. Such things do not make for good public relations. Frankly, it appears as if the WBO might well prefer having red haired star Canelo holding on to its middleweight strap. After all, the sanctioning body let Canelo jump in front of the deserving but unknown Avtandil Khurtsidze, it’s number one contender, in order for Canelo to be next in line for Saunders. And while it’s true Khurtsidze can appeal to the organization regarding its ruling, the WBO has been brazenly open in admitting it’s played favorites here. Indeed, the organization has come right out and essentially said it chose Canelo as Saunders’ top mandatory simply because of the Mexican’s popularity. Make no mistake about it, the WBO wants big names. The question now, of course, may well be how Saunders reacts to all this. While it’s true no one person can be defined by sound bites or Twitter rants, Saunders has at times presented himself as the most modern of modern fighters, the epitome of the low-risk athlete that has arguably made the sport even more marginalized than its previously been. So then, will Saunders drag things out as long as possible? Will be plead for postponement of the inevitable? Will he simply give up his hard earned crown? Or will he show the world that a fight with Canelo is actually all right by him? Of course, there are those who are claiming Canelo wants a middleweight title to use as leverage against Golovkin. That’s a bit confusing, since Canelo is already clearly the A-side in any potential promotion between the two. Perhaps team Canelo feels that it can put GGG in a corner by holding all the cards – in other words, a big money fight AND one of the belts Golovkin craves. That seems rather silly, but like most fans, I don’t deal in untold millions of dollars, so, by and large, potential game playing (in this case, at least) comes off like a moot point at best to me. I just want to see fights that make the most competitive sense. And, in this case, believe it or not, one of those fights is Saunders-Khurtsidze. While Saunders-Canelo is certainly intriguing and clarifying, Khurtsidze should get first crack (whether the WBO or its rules agree or not). Boxing, after all, is not a popularity contest. Scratch that – boxing IS a popularity contest. That doesn’t mean it should be, though. As New Year’s Day approaches, boxing fans can look back on the year that has been, and cast a longing eye towards the year to come. Here, in descending order are the top five fights I’d like to see in 2017, some already scheduled and some in the boxing fan’s dream world. ​This bout is scheduled for March 4th in New York for the WBA and WBC welterweight belts, and I can’t wait. Danny Garcia (33-0, 19 KO’s) is a tough, talented, professional, Philadelphia fighter who has a number of big welterweight wins on his resume (Amir Khan, Lucas Matthysse, Lamont Peterson, Paul Malignaggi). Keith Thurman (27-0, 13 KO’s) is coming off a sterling unanimous decision win against Shawn Porter in June, a bout that will rank high on many Fight of the Year lists. This is a true unification fight with two popular American fighters, and some genuine antagonism. I was in Philly for Garcia’s battering of Samuel Vargas, and the post fight antics (which I usual discount as so much theatre) between Garcia and Thurman seemed rancorous enough to be real. ​Garcia is fast, smart defensively, and adaptable in the ring. He can land from unexpected angles, especially his left hook. Thurman is powerful, athletic, and always coming forward. I think this combination of styles will present a great fight, and the unpredictability of the outcome makes this an edge-of-the-seat contest. ​This bout is in the “dream, but likely” column. The first fight was a tactical brilliance by Ward, a fight for aficionados. Reasonable fans and observers can certainly disagree on the judges’ cards. I felt that Kovalev was ahead going into the last three, but was not active enough to win those rounds. Nonetheless, fight fans would love a second dance, which might also allow the promoters to garner a larger national audience and tap into the general sports fan base. Andre Ward is a fantastic fighter, and a compelling human being outside the ring. Couldn’t he be the face of American boxing in the post-Mayweather era? ​Strangely, Ward has been making noises on social media about retiring, though is not clear why. Maybe he’s serious about walking away, maybe he’s trying to goad Kovalev. Or perhaps this is just an odd (and misdirected) way of generating publicity for the rematch. ​There are some interesting questions that a Ward – Kovalev II could answer. Can Kovalev change his style, box more, or does he remain a pressure fighter, looking for a knock out? Can Ward rely on the judges a second time, or does he need to be more aggressive in the early rounds? 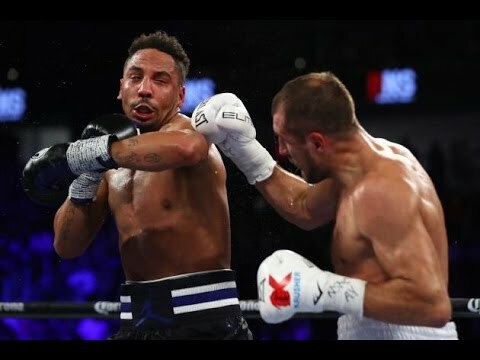 How much does Kovalev’s frustration at the decision, and Ward’s seeming ambivalence about the sport, drive the outcome? ​This bout is in the “dream, unlikely” category. Guillermo Rigondeaux (17-0, 11 KO’s) is scheduled to fight Moises Flores (25-0, 17 KO’s) on February 25 on the Cotto vs. Kirkland undercard. Rigondeaux is putting his WBA junior featherweight title on the line, and I am excited to see the Cuban born fighter come in from the cold, so to speak. Rigo has been in boxing exile, with no one willing to face him in the ring (with the exception of Jazza Dickens of England), and no networks really willing to feature him. Rigo has had only three fights since 2014, but he remains a formidable figure in the sport because of his brilliant defensive footwork combined with devastating punching power. Of course, there are critics who find Rigo’s style boring, too cautious and defensive, not suited for the professional game. I am not one of them; I find Rigondeaux fascinating to watch – he’s certainly learned his lesson (that fans and networks want a more aggressive style) and I expect the Flores bout to be action-packed from the opening bell. 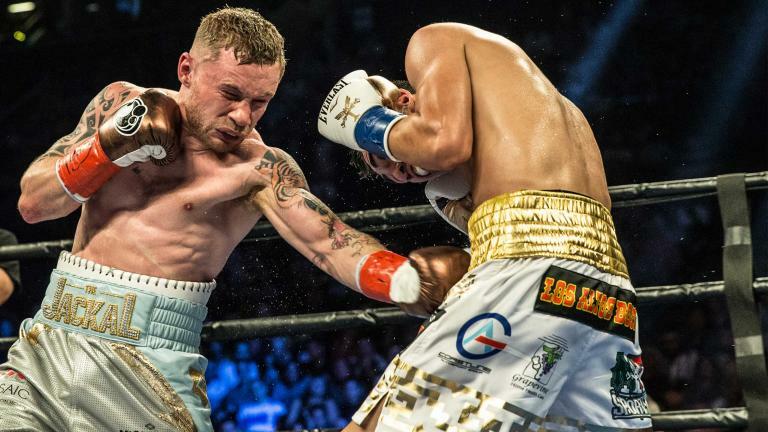 ​Carl Frampton (23-0, 14 KO’s) is slated to meet Leo Santa Cruz (32-1, 18 KO’s) in January for a rematch following the exciting and tense Frampton majority decision last time the two met in July of 2016. This is one of those 50-50 fights that make the lower divisions exciting to watch. Both guys are highly skilled and highly motivated. They respect one another, but they are both tough, action fighters. It should be a great bout. ​So, for Rigondeaux and Frampton to meet in the ring, many dominoes must fall in the proper order. Both fighters need to win, obviously, then Rigo needs to move up to featherweight (certainly a plausible move at this point in his career), and he needs to defeat Flores in a way that makes him marketable enough for Frampton’s team to be interested in the bout. And Rigondeaux has other targets in the super bantamweight division, such as Jessie Magdeleno (the WBO titleholder) and Jonathan Guzman (IBF). ​This bout I will optimistically put in the “dream, but possible” column. Anthony Joshua (18-0, 18 KO’s) is wildly popular in the UK, and his upcoming April bout against Wladimir Klitschko (64-4, 54 KO’s) will probably sell out Wembley Arena in London, and should do massive numbers on PPV. British fans are convinced that Joshua will dominate Klitschko, as they can’t imagine their hero struggling against anyone. I would not be surprised if the crafty and experienced Klitschko used his puzzling combination of pawing jab and clinch to confuse and disrupt Joshua. 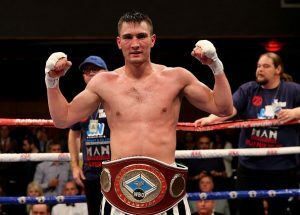 After his embarrassing loss to Tyson Fury in November of 2015, the Ukrainian champion will be more than motivated to bring his best game to London. ​However, if Joshua can get the win against Klitschko, he will capture the WBA and the IBF belts, and be the big stack at the heavyweight table. Between the other belt holders, Joseph Parker of New Zealand (WBO) and Deontay Wilder of the USA (WBC), Wilder is the much more compelling next step, should “AJ” be willing to make the leap. But there are other, complicating factors, namely that the WBA and IBF challengers, currently Luis Ortiz and Kubrat Pulev, might make more sense financially for Joshua and Matchroom Promotions, before they contemplate facing the dangerous Bronze Bomber. ​This is the big one – the Holy Grail for boxing fans. Oscar de la Hoya has promised on not a few occasions that the fight will happen in September, after Canelo has “had time” to move up to middleweight. I have always been a big Canelo fan, but his two wins this year – a big knockout against an undersized Amir Khan, and a not very entertaining dispatch of an overmatched Liam Smith – did not do much for his reputation among American fans. Right now there are rumors of a Billy Joe Saunders fight for Cinqo de Mayo weekend, but I would be stunned if Saunders actually climbed into the ring against the Cinnamon destroyer. ​And of course, GGG must stay undefeated, something Danny Jacobs will have something to say about. Their March 18 date in New York promises to be a great night. 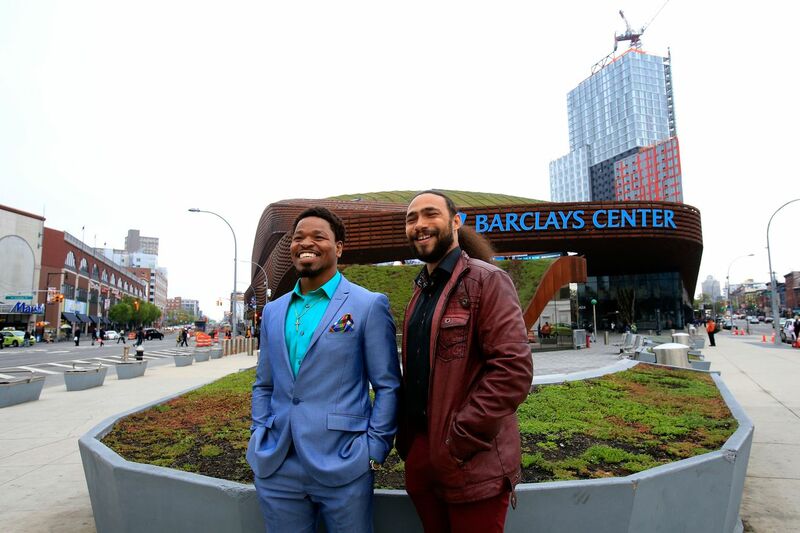 Madison Square Garden, practically a home fight for the Brooklyn born Jacobs, GGG with his own fan base in New York, his relentless Mexican style – these are the ingredients of a great show and a great boxing match. And let’s be perfectly clear: Jacobs is going to be a stiff test for the Kazak superstar. No one is Golovkin’s camp is overlooking Jacobs; both Golovkin’s and trainer Abel Sanchez’s comments in the media have exhibited nothing but high praise and meaningful respect for Jacobs. Fighters with the kind of power that Jacobs and Golovkin possess, they know that one punch can change the direction of any fight, and that nothing is for certain in this sport. Nonetheless, the number one fight I want to see in 2017 is Saul “Canelo” Alvarez vs. Gennady “GGG” Golovkin. What fights are at the top of your list for next year? Andre Berto made headlines in September of 2015 as the opponent for Floyd Mayweather’s last fight, or farewell fight, or retirement fight, however you want to call it. The bout was heavily criticized by fans and commentators alike, and boxing fans are prone to cynicism and outrage when a fight does not appear to live up to “what the fans deserve.” But what, exactly, do we as fans deserve? Ward went on to point out the obvious but unstatedfact: that fighters take a beating in the ring for our entertainment. They are the ones who have to ice their faces after a bout, who have to go to the hospital. If we as fans and media want to criticize, we have to do so with a modicum of respect. And let’s not forget that, in April of this year, Berto stepped back into the ring to face off against Victor Ortiz in a match to avenge Berto’s unanimous decision loss to Ortiz in 2011. In the rematch, Berto was clearly prepared tactically, had trained himself to his physical peak, and executed his game plan in the ring with brutal efficiency, knocking out Ortiz in the 4th round. There was no cynicism in the expression on Berto’s face when he won, and no cynicism in the explosive roar from the crowd when Ortiz hit the canvas. Now Andre Berto is in the headlines again, assisting relief efforts in Haiti after hurricane Matthew devastated part of his homeland earlier this month. He doesn’t have to be there, but he’s doing it because for him he needs to do it. It’s very easy to cynical about boxing, frankly, because cynicism is the child of idealism. When our high ideals about boxing, our high hopes even, are dashed, cynicism is an easy way out. Now, let’s be realists. Are fans justified in being upset about some cherry-picked matchups? Sure. Danny Garcia has certainly taken his lumps on social media recently. Are fans justified in criticizing fighters for “ducking” certain opponents? Sure. But boxing occupies a strange place between sport, entertainment, business, and a very dangerous undertaking for the participants. If a boxer and his team want to hold off, to protect those years of sacrifice in the gym, to maximize that payday for his family, I get that. On the other had, teams that wait years and years to make a fight that fans are desperate to see can do lasting damage to the sport. Such was the case with Mayweather-Pacquiao, and such might be the case with Canelo-Golovkin. Fans of the sport of boxing love it because it provides a spectacle like no other. Fans deserve to be entertained, certainly, and they deserve competitive cards with exiting matchups, but, at the same time, fans owe a measure of respect to those who step into the ring.